Sourav Bagaria, Protyush Jhunjhunwala & A. K. Dey, Adv., for the Appellant. : Siddhartha Bhattacharyya, Adv., for the Respondent. 1. The marginal delay in seeking to prefer the appeal is condoned in view of the good grounds shown. The appellant seeks to raise a legal question upon the appellant’s claim for the benefit conferred under Section 80-IB of the Income Tax Act, 1961 being declined on the ground that the appellant did not file its return for the relevant assessment year within the period prescribed under Section 139 (1) of the Act. The facts are not much in dispute. 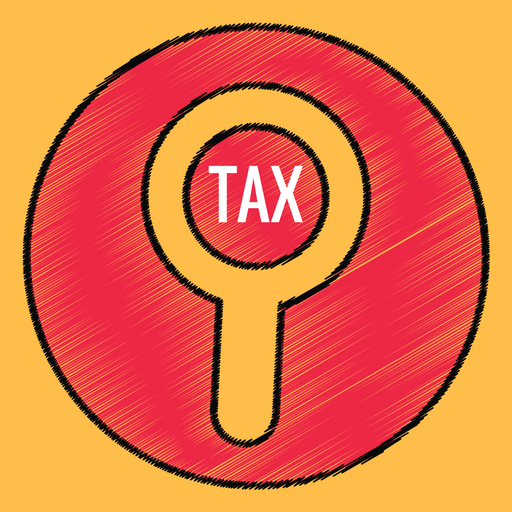 Section 80-IB of the Act allows certain deductions if an industry is established in a backward area. Such deductions are allowed for a period of ten years. A condition for obtaining the benefit of such deductions is that the return for the relevant year should be filed within the time prescribed under Section 139(1) of the Act. Such condition is imposed by Section 80AC of the Act and the wording of the material part is couched in a negative fashion: “…no such deduction shall be allowed to him unless he furnishes a return of his income for such assessment year on or before the due date specified under sub-section 1 of Section 139.” In other words, an embargo is imposed by Section 80AC of the Act on the conferment of the benefit under Section 80-IB of the Act. The condition also specifically refers to Section 139(1) of the Act and not to Section 139 as a whole. According to the appellant-assessee, a joint venture company was established and some of the directors or share-holders of the joint venture company were not resident in India. As a result, the annual accounts for the joint venture company could not be completed within the stipulated time and an application was made before the relevant Registrar of Companies for extension of the time to complete the finalisation of the accounts and the acceptance thereof at a deferred annual general meeting. Pursuant to the Registrar’s orders, the accounts were finalised in November of the relevant year and the annual general meeting was also held. In terms of Section 139(4) of the Act, the returns were filed at a belated stage but upon complying with the requirements of such provision. The appellant claims that once the returns are filed and they are taken on record, the condition stipulated in Section 80AC of the Act would be deemed to have been complied with. In support of such proposition, the appellant relies on an unreported judgment of this Court rendered on February 24, 2016 in ITA No.190 of 2009 (CIT, Kolkata vs. M/s. S. R. Batliboi & Associates) . The appellant also fairly submits that there is a previous judgment of this Court reported at 370 ITR 305 (CIT v. Shelcon Properties P. Ltd.) where this Court had taken an adverse view on the issue directly involved in the present case. The judgment in S. R. Batliboi was based on the Supreme Court dictum in the judgment reported at (1970) 77 ITR 518 SC (CIT v. Kulu Valley Transport Co. P Ltd.). As a matter of fact, the Kulu Valley Transport judgment was also considered in course of the Shelcon Properties P Ltd. judgment and it was held that the dictum would not apply to a case governed by Section 80-IB of the Act read with the condition imposed by Section 80AC thereof. In Kulu Valley Transport, the assessee did not file its returns of income in respect of assessment years 1953-54 and 1954-55 within the period specified in the general notice issued under Section 22(1) of the Income Tax Act, 1922. In January, 1956, the company filed voluntary returns disclosing loss of income in course of its business amounting to sums of Rs. 1,51,520/and Rs.48,977/-, respectively, for the two assessment years in question. The income tax officer refused to determine the loss observing that it was a “loss case” and the returns had been filed after the statutory date, as a consequence whereof the assessee was not entitled to the benefit of the carry forward of the loss in the subsequent assessments. The Supreme Court found that the statute provided for an extended period within which returns could be filed. Since there was no specific embargo in the statute for carrying forward loss upon valid returns being filed, though beyond the prescribed date, the Court held that the filing of the returns would be the determining factor. The ratio is utterly inapplicable when the statute confers a benefit and imposes a condition for the enjoyment of the benefit. The dictum would not be applicable, particularly, since the embargo is couched in negative words. Had it been a case where the express prohibition as in the words quoted from Section 80AC were not there, an arguable case could have been made out. However, when the governing provision expressly mandates that no such deductions shall be allowed unless the assessee filed his returns of income “on or before the due dates specified under” Section 139 (1) of the Act, there is no question of referring to the extended period permitted under Section 139(4) of the Act to seek the benefit. Indeed, if the embargo were not as strict as is evident from the relevant provision, the entirety of Section 139 would have been mentioned in the relevant expression in Section 80AC of the Act which would have included within its sweep the extended period under sub-section (4) thereof. But in such provision referring only to sub-section (1) of Section 139 of the Act, the reference to the other provisions of Section 139 must be understood to have been excluded. Since the legal issue raised by the appellant is directly covered in the judgment of Shelcon Properties P. Ltd. and the view expressed therein does not require to be revisited notwithstanding the aberration in the case of S. R. Batliboi, the appeal is dismissed at the admission stage. ITAT No.385 of 2016 and GA No.690 of 2018 stand dismissed. GA No. 3162 of 2016 was the application under Section 5 of the Limitation Act, 1963, which has been allowed at the beginning. There will be no order as to costs. This entry was posted in Section 80-IB and tagged 407 ITR, Calcutta High Court, In favour of Revenue, non-filing of the return.